When my doctor called me that Friday evening to tell me that I had diabetes, I was shocked, because bad news is always a shock. But later, in an effort to be scrupulously honest with myself, I wasn’t really surprised. 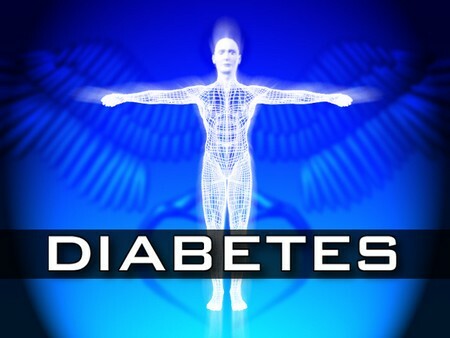 Although I don’t know of any relatives who were diabetic, my lifestyle was terrible. When I look back on the way I used to live, it seems as if I did everything possible to bring out whatever tendencies toward diabetes were lurking in my genes. But all that first evening and most of the next day, I had all the symptoms of emotional shock: I felt disoriented, I had trouble thinking clearly, and I felt as if I had been run over by a truck and was lying helpless in the street. The numbness and sense of physi­cal assault wore off by Saturday night, though. Nature doesn’t al­low shock to last indefinitely, and I knew I had to start coping with the disease, to accept the diagnosis, and to mobilize my emo­tional resources. Besides, I had been invited to a dinner party that evening and had been looking forward to it all week. I told myself that I’d be damned if I’d let a little thing like diabetes prevent me from having a good time. So I set out for my friend’s house in a state of false euphoria. I had no idea what Larry was going to serve for dinner, but on the way to his house, I vacillated from resolving to eating everything in sight to eating practically nothing. What really happened was that I proved to myself that I could achieve one of the most important things a diabetic must learn: I could moderate my eating habits. It wasn’t easy—not by a long shot. Larry always serves cheese and crackers with drinks before dinner, and I love cheese. I also enjoy a weak Scotch and water with hors d’oeuvres. So I compromised; I had two small pieces of cheddar on crackers in­stead of several large slabs of brie on French bread. And I passed up the Scotch in favor of a glass of wine that I knew would ac­company dinner. Dinner wasn’t much of a problem because Larry has always been health conscious and doesn’t cook with much fat, but he is a great dessert cook. This evening, he had outdone himself with a “killer” chocolate cake. He brought the cake to the table and every­one groaned with delight. The women, as usual, said, “Just a small piece for me,” and for once, I added my voice to theirs. Larry did­n’t listen, of course; he knows me well. A four-inch wedge of cake was placed in front of me, and my mouth began to water. I was faced with a dilemma: If I refused the cake, people would ask what was wrong, and then I’d have to make a decision about what to say. If I ate the cake, which I dearly wanted to do, I would be hurting myself. So I ate half, licked the last morsel of frosting off the fork and set it neatly on the plate next to the un­eaten portion of cake. And there it sat, tempting me like the Sirens of Greek mythology luring sailors to their death on the rocks. Ev­eryone at the table was chatting and drinking coffee, and there I was, unable to think about anything else but that lovely dark con­fection. I willed myself to keep my hand off the fork, but the self-imposed discipline was taking all my energy and I couldn’t force my concentration away from the damn cake. Suddenly, I had a bright idea. I got up from the table, took the plate of cake into Larry’s kitchen, dumped it down the disposal, went back to the dining room, and enjoyed the rest of the evening. Larry looked at me quizzically, and I told him I’d explain later. A man in a support group that I sat in on once said some­thing interesting about the issue of control in diabetes: “If you want to live a long, healthy life, get a chronic disease and take good care of it.” He was right. When you learn all the elements of diabetes management, your entire physical well-being will im­prove and you’ll probably end up healthier than most of your nondiabetic acquaintances.